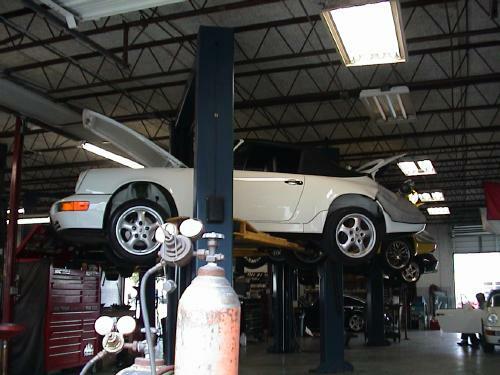 In January 2003, I brought my 964 into the great guys at Gulf Performance (the same guys that own & operate FVD-USA) in Pompano Beach, Florida for a valve adjustment and to have a recently developed "non-trivial" leak investigated. If you've got a 12+ year old Porsche in your garage, you've probably got a cardboard box diaper under it! This leak concerned me because it apparently was coming from between the crankcase and one of the cylinders. This was clearly not "normal" 12 year old engine drips. I had Mobil 1 running down the side of the crankcase. I decided to have the engine pulled out, and a complete engine seal kit installed. 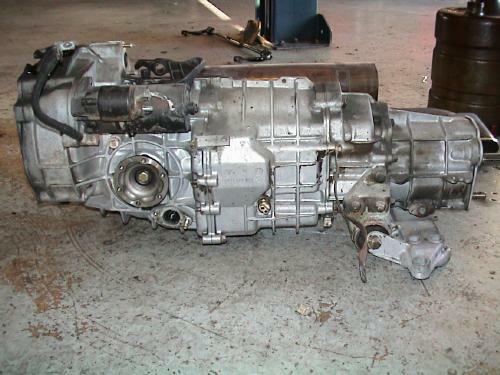 I've posted a pictures of the procedure to share with my fellow gear-heads here on Rennlist. Here's the root of my problem. 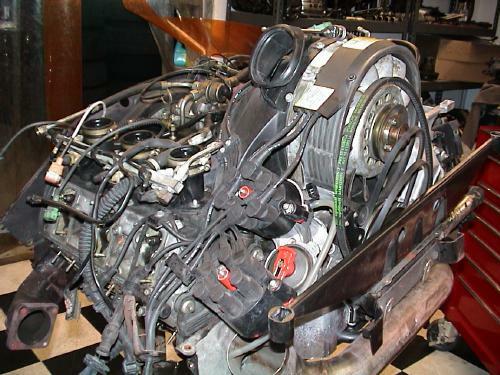 This photo shows the top side of the engine. 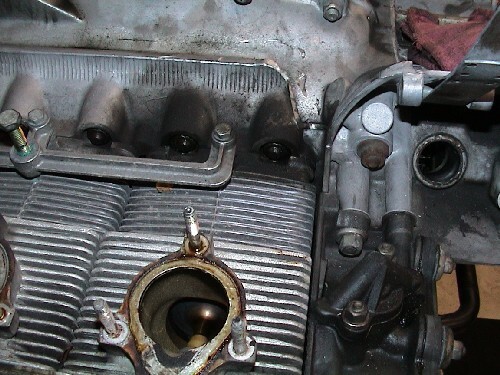 Notice the oil accumulating around the through-bolts. It turns out that in a previous service, a mechanic used 2 and 3 rubber gaskets on some of the through-bolts - probably to seal up a previous leak.